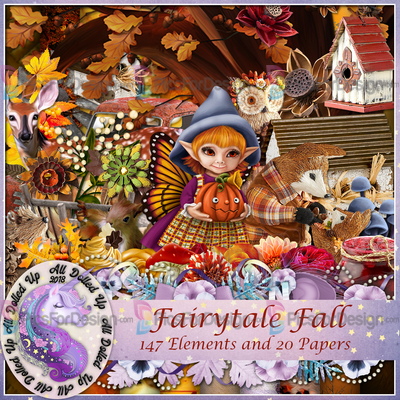 Fairytale Fall - Illustration store PicsForDesign.com. PSP tubes, PSD illustrations, Vector illustrations. Hues of orange paint the scenery, you can almost smell the smoke in the air. It's fall and with this kit and its 147 elements and 20 papers you can put your jacket on and take a walk. Not all elements are shown in preview. For personal use only.